What does the term ‘VET’ actually mean? You may be expecting this week views on the Joyce Review. His insights and recommendations deserve longer reflection than the five days since its release have allowed. I have, though, commented on the Delivering skills for today and tomorrow package announced in last week’s Budget – a package designed to start the set-up of the architecture Joyce recommended. Getting a head start is a good thing, but the parts that are missing is more the concern. Aside from a report card on economic conditions and forecasts of revenue, Budgets ultimately reflect the philosophy of the Government for growing the economy and building opportunity for Australians. Budgets are also underpinned by income and revenue distribution policies and these seem to be framing the election narrative. The Coalition – tax cuts as a quasi-wage rise to stimulate consumption and growth; Labor – supporting education, particularly TAFEs, to complement its wider range of tax cuts. This budget context is important in assessing Delivering skills for today and tomorrow. The Budget predicts strong wages growth with increases above expected inflation, although accompanied with soft employment. Commentators say this assumption is heroic and cite adjustments to GST revenue to the states as evidence. Remember, GST is a consumption tax so is a pretty good lead indicator of declining disposable household income. GST is set to decline by about $10 billion over the budget period! The RBA remains concerned about wage stagnation, which it puts down to growth in capital as a share of the economy at the expense of labour, aided and abetted by technology driven productivity. It’s this productivity that is compromising wage increases. Our wage setting is based on increases from improved labour productivity, but that’s being washed out by technology. RBA analysis also postulates that the technology-driven dividend is not reaching small and medium enterprises. It’s this backdrop that makes it difficult to understand the logic of Delivering skills for today and tomorrow. States and territories are the delivery powerhouse of VET, yet fiscal transfer through the SAF (see below) is being cut at the same time as their GST revenue is decreasing. At the very time we need to prepare for the automation revolution and the adjustment that will follow, funding is taken from delivery to set-up new structures and committees. How do we solve the wages dilemma? When Treasurer Paul Keating introduced compulsory superannuation, Bill Kelty on behalf of workers paused wage claims to avoid a double hit on employers. Employees benefitted without a significant hit on employers. Maybe we need something similar, but in reverse. In return for a commitment to wage growth, why not pursue a genuine reskilling strategy designed to develop a new wave of modern workers equipped to help employers reap the technology dividend? Then how do TAFEs and wage growth come together? TAFEs are the best avenue. Nine million of the 14.5 million jobs in Australia rely on vocational education and training for preparation and support and 55 per cent of the jobs to grow in the next five years rely on vocational preparation. TAFEs are the natural allies of the workers in the economy deserving wage growth. And within our education system TAFEs are the stand-out workforce training partners for business and can be the agent to bring new technology and techniques to them. We need a broad range of knowledge and skills in our TAFE graduates to meet the diverse needs these enterprises face in the rapid rate of technology change. Training that develops broader capabilities in workers to use and deploy automation and digitisation, change management and in-firm innovation, plus training for more specialist roles that will emerge from economy-wide technology change. Provided the central control of qualifications is loosened so TAFEs can meet those needs, a wage return is then justified. The Budget assumes wages growth but Delivering skills for today and tomorrow doesn’t help. Greater coherence in the revenue distribution strategies of the federal Government, including for skilling, is needed for the Budget’s lofty objectives to be met. Improved collaboration between levels of government, between governments with industry and TAFEs, where TAFEs are empowered to deliver productivity enhancing skills, is the starting point for returning wages growth to hard working Australians. Those reading last week’s newsletter may have thought I was deranged more than ever. Please note it was the first of April. I promise I have returned to rationality, for the moment at least. TDA has criticised last week’s $525 million federal Budget skills package, saying that a redirection of funds away from training has undermined its credibility and jeopardised hopes of progressing the Joyce review of VET. CEO Craig Robertson said the credibility of the VET package has been impacted by that fact that over $400 million of budget funding had been redirected from the Skilling Australians Fund (SAF). “The now ill-fated Skilling Australians Fund was announced in 2017 as a $1.5 billion commitment to the states and territories, with matched funding, to grow apprenticeships and traineeships,” he said. “Since announcing the SAF, Treasurers Morrison, and now Frydenberg have reduced the money available to states and territories by around $890 million. Based on figures provided by departmental officials to Senate Estimates that the Commonwealth contribution per apprentice under SAF is $9,800 means the number of apprentices to be supported under the new funding is 58,000 before matching from the states and territories. The fund when announced anticipated 300,000 new apprentices and trainees assuming matching from states and territories. See Apprentice plan is ‘robbing Peter to pay Paul’ in the Financial Review. See Shorten commits $440m to Tafe and vocational education in Labor budget reply in The Guardian. Federal departmental officials have confirmed that just 10 per cent of last week’s $525m Budget skills package entails new spending. Appearing at a Senate Estimates committee on Friday, officials from the Department of Education and Training said that new money in the skills package amounts to $54.5 million. The bulk of the skills package funding, which is aimed at creating 80,000 apprenticeships over five years, comes from a $463 million redirection from the Skilling Australians Fund (SAF). There was also $7.8 million from unused Commonwealth scholarships for South Australia, in addition to the $54.5 million in new spending. The Minister for Skills and Vocational Education Senator Michaelia Cash said the redirection of funds from the SAF was caused by the failure of Victoria and Queensland to sign on to the scheme, and she rejected ALP accusations that it was money “stolen”. “It wasn’t stolen, it was actually rejected by the Labor states,” Senator Cash told the committee. Originally announced as a $1.5 billion fund over four years, the SAF was also reduced by $200 million as a result of lower revenue from the skills migration levy which was meant to fund it. Department of Education and Training General Manager Bryan Palmer said it was always understood by the states and territories that funding for the SAF was based on hypothecated revenue as set out in a national partnership agreement with the Commonwealth. “There’s actually been no cuts to the SAF. What’s happened is that there’s been an expenditure variation because revenue from the SAF levy has been lower than expected,” he said. 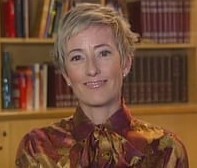 The former chief executive of the royal commission into child sexual abuse, Janette Dines, (pictured) has been appointed as the new registrar of the Unique Student Identifier (USI). Ms Dines headed the royal commission from 2012 to 2014. The royal commission chair Justice Peter McClellan described Ms Dines as the driving force behind the establishment of the office of the royal commission. Prior to that, she was Director-General of Emergency Management Australia, responsible for coordinating Australia’s response to natural disasters and national security incidents. The appointment follows last week’s Budget announcement that the USI will be expanded from vocational education and training to higher education, replacing the Commonwealth Higher Education Student Support Number. Also, the USI head office will move from Canberra to Adelaide as part of the government’s decentralisation agenda. Ms Dines will commence her three-year appointment next Monday. Picture: courtesy Sydney Morning Herald. The latest analysis of skilled occupations by the Department of Jobs and Small Business shows that hairdressers are among the occupations experiencing the greatest skills shortage . The Ratings Summary – Labour Market Analysis of Skilled Occupations shows hairdressers in short supply across every state and territory except Queensland. Other occupations in short supply include cabinetmakers, plumbers, motor mechanics, panel beaters and bricklayers. Also, the department’s Labour Market for Apprentices report shows that the apprentice shortage is severe, with abundant applications but insufficient suitable candidates. “While almost half the surveyed employers received more than 20 applications, most candidates were regarded as unsuitable,” the report said. Eighty-seven per cent of employers said it was “difficult” or “very difficult” to recruit apprentice hairdressers, compared to 86% for automotive, 75% for construction, 63% for engineering and 48% for electro-tech. Last week’s federal Budget included new employer and apprentice incentive payments in skills shortage areas, a promise that was matched in the federal opposition’s budget reply. The federal opposition Shadow Minister for Skills, TAFE and Apprenticeships Senator Doug Cameron has delivered his valedictory speech to the parliament, in a rousing celebration of his journey from a working class town near Glasgow to the Australian Senate. Declaring himself a “proud socialist,” he described leaving school at 15 to become an apprentice fitter, before migrating to Australia in 1973, aged 22, with his wife, Elaine, and 14-month-old daughter, Lynn. “I was, in reality, an economic refugee – the sort loathed by some of the crossbenchers,” he said. He worked as a fitter at General Motors Holden’s Pagewood plant in Sydney at the same time as Elaine – one of the first women on the production line – was a spot welder. 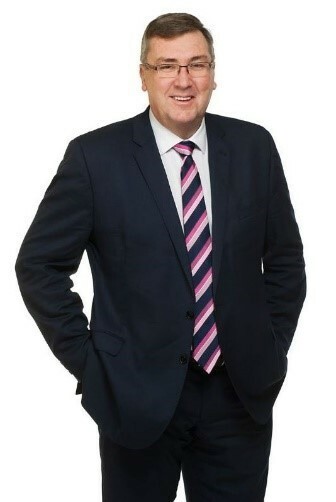 He was made National Secretary of the Australian Manufacturing Workers and vice-president of the ACTU before being elected to the Senate in 2008. “Over the past six years I’ve been honoured to serve in Bill Shorten’s shadow ministry as Labor’s spokesman on, firstly, human services, housing and homelessness, as well as skills, TAFE and apprenticeships,” he said. Senator Cameron’s Senate term expires on July 1 and he will remain as shadow minister throughout the election campaign. There are significant changes in the NSW public service in the wake of Premier Gladys Berejiklian’s election win, which will include responsibility for TAFE and skills. The changes extend across larges sections of the bureaucracy and see the Department of Industry abolished and replaced by the Department of Industry and Planning under Deputy Premier John Barilaro. The TAFE and skills responsibility will fall under the new Minister for Skills and Tertiary Education, Geoff Lee as part of the Department of Education. See the NSW administrative arrangements. See The new-look NSW public service at The Mandarin. It’s often assumed that ‘VET’ stands for ‘vocational education and training’, but not to everyone, and certainly not to all those who made submissions to the Joyce review of VET. The report says that the term is confusing, with several submissions addressing issues related to veterinary science and defence veterans. “On the other hand, some people only relate VET to public TAFEs or what is generally considered a traditional trade apprenticeship,” the report said. It’s for that reason, the review recommends applying a new overall brand and language around VET. It says terms like ‘Professional Education’, ‘Technical Education’, ‘Technology Education’, and ‘Industry Education’ are all possibilities, but comes down in favour of ‘Skills Education’ which can be abbreviated to ‘Skills Ed’, but says this should be market-tested along with other alternatives before any change is made.